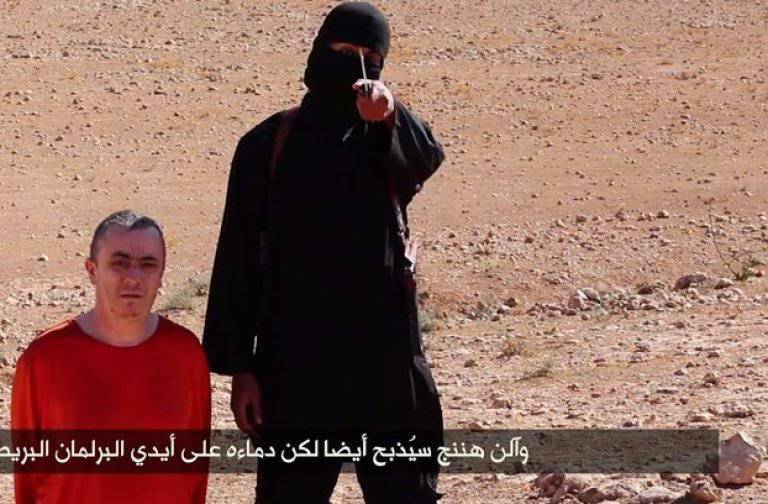 The masked man known as “Jihadi John,” who has been seen in a number of beheading videos released by the barbaric Islamic group ISIS, has been identified. Officials have identified the man as UK’s Mohammed Emwazi, a Muslim in his mid to late-20’s who traveled to Syria at some point in 2012 and later joined the Islamic State. Emwazi was born in Kuwait, but grew up in West London in a well-to-do family, where he also obtained a degree in computer programming. He attended a mosque in Greenwich at times, and became more engrossed in jihad upon his graduation from college. According to reports, Emwazi had been suspected by British officials of being involved with terrorist organizations at least five years ago. He and other friends were detained in Dar es Salaam while going on a safari trip, and was also reportedly questioned by British officials after he landed in the Netherlands. Emwazi later moved to his native Kuwait, where he worked for a computer company. But once he returned to the UK, he was detained by counter-terrorism officials and prevented from leaving the country. He later left for Syria in 2012 and joined the barbaric Islamic group ISIS. Reports state that he might have been responsible for guarding western hostages, including those that were beheaded over the past seven months. The first video that is believed to feature Emwazi is that of the beheading of American journalist James Foley in August 2014. In the video—as all others—Emwazi was dressed in black, and was completely covered except for his eyes and the bridge of his nose. As he wielded a knife, he delivered threats to America, including President Obama. A spokesperson for UK Prime Minister David Cameron declined to comment on the matter.